Plenty of ways to tighten up your presentation of the discs you create exist, but there’s none that can look quite as nice as putting a design on the discs themselves. In order to do this, however, you will need to secure the correct materials. You have a number of options available to you. One is to purchase a specialized piece of hardware called a thermal printer. These print on lacquered discs and produce results that are permanent. Inexpensive thermal printers are often only able to do limited printing, however. 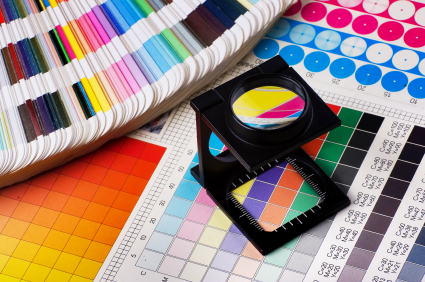 It is not until you lay out a large amount of money that you can print complex images, and printers that can handle color images are even more expensive than those restricted to monochrome. Another option is to use labels which are printed out on an ordinary printer and then peeled off and applied to the disc. This is absolutely an option which will allow you to print in full color and give your discs an interesting look for relatively little money. It has a major downside in that labels will eventually peel, and this is not at all good for disc drives. But if all you are looking for is a very affordable way to make discs look good and you have no real longevity requirements, this is a great way to do it. It is also possible to print directly onto discs using a number of commercial inkjet printers. These printers frequently offer a kind of tray used in the printing of discs. They require special printable media, but these inkjet printable discs are made by many good manufacturers. The largest problem with these discs tends to be that the inks can smear before they are dry or during use. You can use a printer cartridge with pigment inks to avoid this. It is also possible to use a clear fixative spray to put a thin layer over the ink, though when done poorly this can look very spotty, so use caution. All-in-all this is a very good way to handle your finishing needs for a relatively low cost. No matter how you choose to finish off your discs you will find that each of these methods lends a more professional look to your projects. It doesn’t matter if you are making your discs for business or pleasure, a snappy end result is always something to take pride in. You are currently browsing the Duplication Centre Resource Centre blog archives for November, 2012.